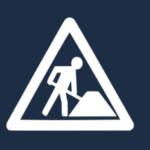 This is the bi-weekly ownCloud community update for the weeks of July 14 to 27. These updates pull together activities from development mailing lists, blogs, coding work and everything else community members share with us. Tips are very much welcome! Ping Jos with your input. The biggest items during the last couple of weeks was of course the ownCloud release on July the 23rd. We’re very proud of the release and we got a lot of positive feedback in the press and social media – and from you. Thanks to everybody who was involved! No rest for the weary, after the release, development for the next ownCloud started, although effort was also put into updating ownCloud apps for compatibility with the new release and dealing with incoming issues. You can read the previous report on week 27 and 28 here. Lots of activity in the Activity app, with 21 pull requests closed in two weeks. Most are fixes or small behavioral changes like not showing a scrollbar anymore. On apps.owncloud.com there have been no less than 13 updates in the period covered! Much of this is to update for ownCloud 7 compatibility but some introduced other features and no less than 4 apps are entirely new! Passman is a brand new ownCloud app: a password manager for your cloud! The next newcomer ocSafe allows you to encrypt one file at a time. It doesn’t yet advertise ownCloud 7 compatibility but this could be just what you were looking for! Last but not least in the newcomer league, drawio introduces a diagram editor to ownCloud! Big changes are introduced in the Working2gether app, a Pseudo multiaccess-management feature for Owncloud allowing you to lock and unlock files. This release works on ownCloud 7, no longer creates lockfiles (which sometimes created issues) and brings a new Admin panel. 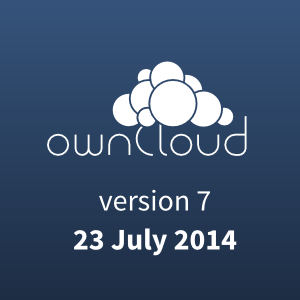 From now on, only ownCloud 7 will be supported! On the 27th we concluded our series of sneak peeks into ownCloud 7 with the sneak peek for developers. On Planet ownCloud there were blogs inviting you to organize release parties and I wrote about how awesome server to server sharing is. There are meetups being organized around ownCloud! For those of you living in or close to Berlin or Münich, there will be a meetup every third Wednesday of the month. 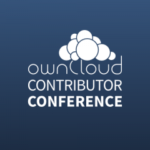 All ownCloud meetups will be gathered on the ownCloud event page. ownCloud meetups are a chance to learn more about ownCloud or even to get coding work done. If you know of other (regular or not) meetups or are interested in organizing one yourself, check these pages for more information. Thanks, as always, for reading our development overview! I’m a little bit concerned that you highlight a new app which has no description and you don’t know what it is. For your information, there is already an app in your repository called Cloudpress (http://apps.owncloud.com/content/show.php/CloudPress?content=154756), which provides functionality for OwnCloud to auth with WordPress credentials. You talk a lot about OwnCloud as a secure platform but it doesn’t stay so if you dont keep your app repository safe and clean. Doesn’t it seem a bit suspicious that there’s an app with the same name as an existing app, no description, bad rating, one comment asking what the app does and an uploader who no one knows nothing about. So please, keep the apps safe too – at least don’t highlight them without any information 🙂 For your convenience i reported the app now. And yes, I won’t mention an app like this again, you’re right that there is no good reason to do so. On the other hand – as anybody can upload anything on apps.owncloud.org – use of that site is always a risk. We should make that more clear. Jos, thanks for the update – great to see there was no slowdown after 7.0.0! Regarding the security policy for the apps in the app store, I have to agree with the comment above and I want top ask you to please address app management and security in ownCloud. As I see it, there is a lack of transparency about measures currently in place, for example the fact that there are at least three different tiers of apps (installable internally, appstore apps and external apps, some of which come from active, long time ownCloud developers who are dissatisfied with the limitations of the appstore) with little info for users as to what the differences are and what the security procedure is. There is no info about the fact that there is the app checker code, there is no user-facing info about the fact that this code checks apps and blocks their installation if it finds potentially malicious code. This is great, but the code is controversial because it seems to create false positives, leading some developers to turn away from the app store (see https://github.com/owncloud/core/pull/9604#issuecomment-51032891). As a result, the porting of apps such as the news app to ownCloud 7 is delayed, leading to regressions in functionality. I have tried to contribute to the documentation regarding this issue with this pull request (https://github.com/owncloud/documentation/pull/474 ), but it would be great if there could be a comprehensive explanation on the current state and the way forward towards unified and transparent security procedures with user facing messaging and documentation. Thanks for your replies and efforts – this is something we can hopefully deal with. http://doc.owncloud.org/server/7.0/admin_manual/configuration/configuration_apps.html exists and explains part of this but can use some work and should be easily accessible from apps.owncloud.org and the app installer.